Get your shoplifting ticket dismissed or reduced to “Littering” and avoid having a conviction for stealing on your permanent criminal record. Stealing under $500 is a class A misdemeanor in Missouri. The maximum penalty is a $1,000 fine and 1 year in jail. Stealing Under $150 is a class D misdemeanor if you are a first-time offender. The maximum penalty is a $500 fine but no jail time. Why Should You Hire An Attorney For Your Shoplifting Ticket? If you want to get your shoplifting ticket dismissed or reduced to a less serious offense such as “Littering,” you will need to have an experienced attorney represent you in court. It is very likely that you won’t have to appear in court if you hire an attorney to represent you for your shoplifting ticket. In most counties in Missouri, public defenders don’t represent people charged with misdemeanor shoplifting. However, if your case is being prosecuted in circuit court (rather than municipal court) and you have no income or assets, you might qualify for a public defender. You can contact the public defender’s office in the county in which your case is being prosecuted to see if you qualify to have a public defender represent you. How Much Does It Cost To Hire An Attorney To Get Your Shoplifting Ticket Dismissed or Reduced To “Littering”? Most criminal defense attorneys offer a free consultation for a shoplifting ticket. They can give you a flat-fee price quote for how much they will charge to represent you, and an estimate of any fines and court costs you may have to pay. What Happens If You Don’t Pay The $250 Civil Fine For Shoplifting? Most people who get caught shoplifting will later receive a “Civil Demand” letter in the mail from the store. The letter will state that you owe the store $250 to pay for their expenses. However, you don’t owe the store anything unless they successfully sue you in civil court. If you consult an experienced criminal defense attorney, they will tell you to refuse to pay the Civil Demand. The Civil Demand is completely separate from your criminal shoplifting case. If you pay the Civil Demand, it will have no effect on your criminal case. The prosecutor and judge in criminal court will not view your criminal case more favorably if you pay the Civil Demand. Stores rarely follow through on their threats to sue shoplifters because the cost to litigate the case in court is much more than the $250 they would get if they win a judgment against the shoplifter. Withdrawing your guilty plea is something you will need to hire an attorney to do for you — you can’t just go to court and tell the judge you changed your mind. You can withdraw your guilty plea for a speeding ticket or criminal offense such as marijuana possession or shoplifting if 1) not much time has passed since your plea, and 2) you did not have an attorney representing you when you pleaded guilty. When you plead guilty to a moving violation, points are added to your Missouri driving record. If you accumulate too many points, your driver’s license will be suspended or revoked. 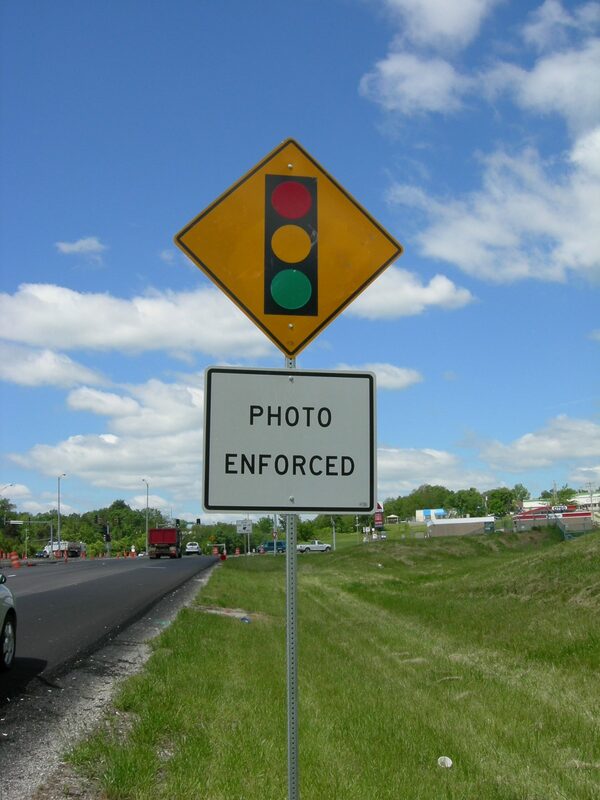 Click here for a list of Missouri traffic violation points. If you withdraw your plea and hire an attorney to get your ticket reduced to a non-moving, no-point infraction, the points will be removed from your driving record. Removing points from your driving record can lift your license suspension and prevent an increase in your car insurance rates. If you have pleaded guilty to a misdemeanor, such as possession of marijuana or shoplifting, it’s not too late to change your mind and withdraw your plea. Many people plead guilty to a minor criminal offense and later realize the conviction is causing them problems when trying to rent an apartment or get a job, internship, or financial aid for college. An experienced criminal defense attorney can withdraw your guilty plea and get your criminal charge dismissed or reduced to a less serious offense, such as “Littering,” which does not show up on a criminal record. You can’t just walk in to court and tell the judge you changed your mind and want to withdraw your guilty plea. You will need to hire an experienced attorney to file the right motion and represent you in court if you want to successfully withdraw your guilty plea. Do you have prior arrests, charges, or convictions on your criminal record? How much time has passed since you pleaded guilty? Did you have an attorney representing you when you pleaded guilty? In many cases in which a defendant hires an attorney to withdraw their guilty plea, the defendant does not have to appear in court at all. Once you withdraw your guilty plea and a new plea bargain deal is negotiated, the Prosecutor will assess a new fine for the amended charge. The new fine may be higher than the fine you already paid when you pleaded guilty to the original charge. You will have to pay the difference between the original fine amount and the new higher fine. After you withdraw your plea and pay the difference between the old fine and the new fine, the court will revise their records and the original conviction will be removed from your record. For example: If your original guilty plea was for a speeding ticket, the original speeding conviction (and the points) will be removed from your driving record. If the original conviction caused your license to be suspended, removing the points will lift the suspension. If you have not already paid the fine and pleaded guilty, you can hire a traffic law attorney to get your speeding ticket reduced to a non-moving, no-point infraction that won’t affect your driving record or car insurance rates. 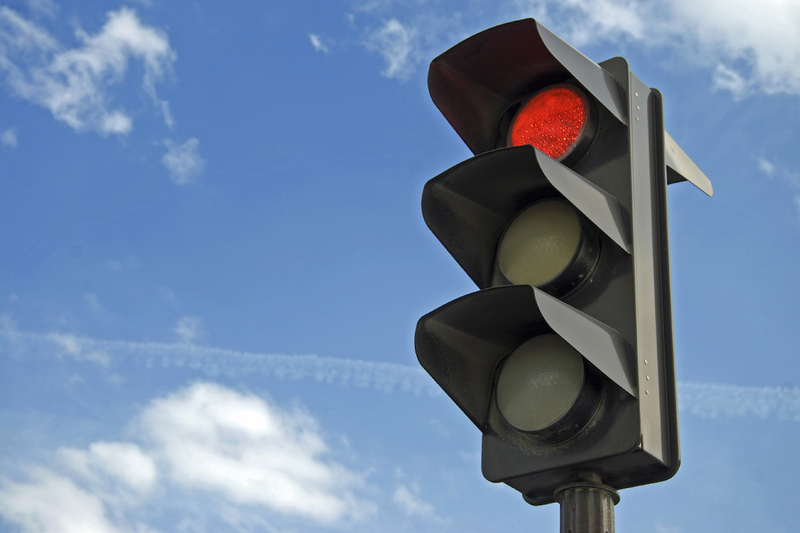 Ask the judge to let you attend traffic school to remove the points from your driving record. This option may not be available in all counties, and it does NOT hide the speeding conviction from your insurance company. Fight Your Speeding Ticket or Plead Guilty? When deciding whether to fight your speeding ticket or plead guilty, consider how many points you have accumulated on your driving record and whether you can afford an increase in your car insurance rates. What Are Your Options When You Get A Speeding Ticket in Missouri? Pleading guilty to the original speeding ticket will cause points to be added to your driving record and your car insurance rates may increase as a result of having a speeding conviction on your driving record. You also might have to go to court if your ticket requires a mandatory court appearance. Taking your case to trial is much more expensive than hiring a traffic law attorney to get your ticket reduced to a non-moving, no-point infraction. You also risk losing and ending up with a conviction. 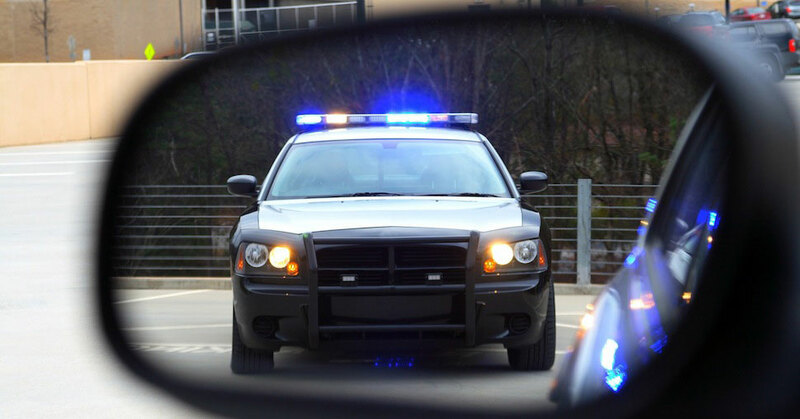 An experienced traffic law attorney can fight your speeding ticket in court and keep points off your driving record. Your attorney will negotiate a plea bargain deal with the Prosecutor to get your speeding ticket or other traffic violation reduced to a non-moving, no-point violation that won’t cause points to be added to your driving record or an increase in your car insurance rates. Usually a standard speeding ticket can be reduced to “Illegal Parking” or a similar non-moving, no-point infraction. You will have to pay a fine and court costs in exchange for the court agreeing to reduce your ticket, and the fine will be higher than the original fine. Your attorney can give you an estimate of the amount of the fine and court costs. Once the court receives your payment, they will reduce your speeding ticket to a non-moving, no-point violation and there will be no negative effect on your driving record or car insurance rates. How Many Points Can You Accumulate Before Your License Gets Suspended? If you accumulate 8 points on your driving record within 18 months, your Missouri driver’s license will be suspended for 30 days (if it’s your first suspension). Your license will be revoked for 1 year if you accumulate 12 points within 12 months. Pleading guilty to a speeding ticket issued by a municipal police officer will cause 2 points to be added to your driving record. Pleading guilty to a speeding ticket issued by a Missouri State Highway Patrol officer will cause 3 points to be added to your driving record. Some people remove points from their driving record by taking the Missouri Driver Improvement Program (DIP) class. The DIP class is an 8-hour in-person traffic school program. The DIP class may be an option if you received a speeding ticket in a county where the court does not allow speeding tickets to be reduced to non-moving violations. Many people pay the fine for a speeding ticket and then change their mind after seeing how many points have accumulated on their driving record, or how high their car insurance is going to increase. Or they may need to withdraw their plea on a speeding ticket to lift the suspension of their driver’s license. An experienced traffic law attorney can withdraw your plea and get your ticket reduced to a non-moving, no-point violation. Consult an experienced traffic ticket lawyer to get a price quote for how much it will cost to withdraw your plea and get your ticket reduced to a non-moving, no-point violation. To get your Missouri speeding ticket reduced to a non-moving, no-point violation, contact traffic law attorney Andrea Storey Rogers at (314) 724-5059 or [email protected] for a flat-fee price quote and an estimate of your fine and court costs. You can get speeding ticket points removed from your driving record even though you already pleaded guilty and paid the fine. When you pay a speeding ticket fine, you are pleading guilty to a traffic violation. Points are added to your driving record for the violation, and if you accumulate too many points, your driver’s license will be suspended or revoked. You paid a speeding ticket fine without realizing the points for that ticket will cause your license to be suspended, and you want to hire a lawyer to get your ticket reduced to a non-moving violation. In both situations listed above, an attorney can withdraw your guilty plea and get your speeding ticket reduced to a non-moving, no-point violation. After your ticket is reduced, the Missouri Department of Revenue will remove the points from your driving record that were added when you originally paid the fine. If your license was suspended because of the added points, removal of those points will cancel the suspension. PLEASE NOTE: Withdrawing a guilty plea is much more difficult if you were represented by an attorney when you pleaded guilty, or if too much time has passed since the conviction date. To withdraw your guilty plea, you will need to hire an experienced traffic law attorney to file the proper motion in court. If the judge approves the motion and allows you to withdraw your guilty plea, your attorney can negotiate a plea bargain deal with the prosecutor to get your ticket reduced to a non-moving, no-point violation. Most courts charge higher fines if they agree to reduce a traffic ticket to a non-moving, no-point violation. After your attorney gets your guilty plea withdrawn and your ticket reduced to a non-moving, no-point violation, the prosecutor will assess a new fine that will be higher than the fine you already paid. You will be required to pay the difference between the original fine and the new, higher fine. You may have heard that you can get points removed from your license if you take the Missouri Driver Improvement Program (DIP). This is true in many Missouri courts, but the DIP class won’t prevent the ticket from being reported on your driving record and possibly causing your car insurance rates to increase. If you take the DIP class instead of hiring a traffic law attorney to get your ticket reduced to a non-moving, no-point violation, the points will be removed after you pay the fine. However, the speeding ticket will show up on your driving record, and your insurance company will see it the next time they review your driving record. For more information, click here to read my previous blog post about how to remove points from your license by completing the Missouri Driver Improvement Program. Expungement is the removal or deletion of all court records of your arrest, plea, trial or conviction. The only types of alcohol-related convictions that are eligible for expungement in Missouri are first-time DUI or MIP convictions. The option of expungement is not available for felony DUIs or for anyone convicted of driving a commercial motor vehicle while under the influence of alcohol. Missouri law allows anyone who pleaded guilty to, or was convicted of, a first-time misdemeanor DUI to apply to have the court expunge (remove or delete) the DUI charge 10 years after the offense occurred, as long as the individual has had no other alcohol-related driving convictions, “alcohol-related enforcement contacts,” or any pending “alcohol-related enforcement actions” within the 10-year period since the conviction. See Missouri statute RSMo 302.525.3 for an explanation of what is an alcohol-related law enforcement contact. If a judge finds that you meet these requirements, then the court will enter an order of expungement, and all records of your DUI arrest, plea, trial, or conviction will be deleted. For a first-time MIP conviction to be expunged, you must show that you have had no other alcohol-related convictions or “alcohol-related enforcement contacts” since the original MIP conviction, and that you are applying for expungement at least 1 year after the original conviction date, or after you have reached age 21. If a police officer pulls you over for a traffic stop and charges you with possession of drugs (marijuana) or drug paraphernalia (such as a pipe) and you are convicted of those charges, no points will be added to your Missouri driving record for that conviction. However, a conviction for possession of drugs or drug paraphernalia will remain on your criminal record forever. When facing a misdemeanor charge of possession of drugs or drug paraphernalia, you can hire an attorney to negotiate a plea bargain with the court to get your drug charges dismissed or reduced to a lesser offense, so they won’t show up on your permanent criminal record. Keep in mind that your chances of success are not as good if you have multiple prior drug-related convictions on your record. The outcome of your case depends on which court your case is being prosecuted in, your criminal history, and the details of your specific case. While expungement is an option for some first-time DWI or MIP convictions, drug-related convictions can never be expunged from your Missouri criminal record. If your attorney is able to get your drug possession charges reduced to a lesser offense, you will have to pay a fine and court costs, and you may also be required to take a court-ordered class, such as “ADEP” (Alcohol and Drug Education Program) or “SATOP” (Substance Abuse Traffic Offender Program). Depending on the facts of your case, you may be offered an “SIS” (Suspended Imposition of Sentence) and 1 or 2 years of unsupervised probation. With an “SIS,” no conviction is entered on your permanent record if you successfully complete your period of probation without any further convictions. If you have already pleaded guilty to drug charges, it may be possible for an attorney to withdraw your guilty plea and negotiate a plea bargain with the court to have your drug charges reduced to a lesser offense. However, if too much time has passed since your guilty plea, or if you were originally represented by an attorney when you pleaded guilty, the court may not allow the withdrawal. For more information, go to the Withdrawal of Guilty Plea page on my website.